ಕೋಲಾರ ಕರ್ನಾಟಕ ರಾಜ್ಯದ ಒ೦ದು ಜಿಲ್ಲೆ.ಇಲ್ಲಿರುವ ಚಿನ್ನದ ಗಣಿಗಳು ಮತ್ತು ಚಿನ್ನದ ಗಣಿಗಾರಿಕೆಗೆ ಕೋಲಾರ ಜಿಲ್ಲೆ ಪ್ರಸಿದ್ಧ. ಕೋಲಾರ ನಗರ ಈ ಜಿಲ್ಲೆಯ ಕೇಂದ್ರಸ್ಥಾನ.ಕೋಲಾರ ಜಿಲ್ಲೆಯು ಆಂಧ್ರಪ್ರದೇಶ ಮತ್ತು ತಮಿಳುನಾಡು ರಾಜ್ಯಗಳ ಗಡಿಗೆ ಹೊಂದಿಕೊಂಡಿದೆ. ಕೋಲಾರ ಗಂಗರ ರಾಜಧಾನಿಯಾಗಿತ್ತು ಇದನ್ನು ಮೊದಲು ಕುವಲಾಲಪುರ ಅಂತಲೂ ಕರೆಯುತ್ತಿದ್ದರು.ಕಾಲ ಕ್ರಮೇಣ ಕೋಲಾರವಾಯಿತು. ಗಂಗರು ಕಟ್ಟಿಸಿದಂತ ಹಲವಾರು ಸ್ಥಳಗಳು ಕೋಲಾರದಲ್ಲಿ ಮತ್ತು ಕೋಲಾರ ಜಿಲ್ಲೆಯಲ್ಲಿವೆ ಅದರಲ್ಲೂ ಮುಖ್ಯವಾಗಿ ಗಂಗರು ಕಟ್ಟಿಸಿದ ಕೋಲಾರಮ್ಮ ದೇವಾಲಯ ಜಿಲ್ಲೆಯಲ್ಲಿಯೆ ಪ್ರಸಿದ್ದಿಯನ್ನು ಪಡೆದಿದೆ. ಕರ್ನಾಟಕದ ಮೊದಲ ಮುಖ್ಯಮ೦ತ್ರಿಗಳಾದ ದಿವ೦ಗತ ಚೆಂಗಲರಾಯ ರೆಡ್ದಿ ಕೋಲಾರ ಜಿಲ್ಲೆಯವರು.ಮೈಸೂರು ಸ೦ಸ್ಥಾನದ ದಿವಾನರಾಗಿದ್ದ ಹಾಗೂ ಕರ್ನಾಟಕದ ಅತಿ ಪ್ರಸಿದ್ಧ ವ್ಯಕ್ತಿಗಳಲ್ಲಿ ಒಬ್ಬರಾದ ಸರ್. ಎ೦ ವಿಶ್ವೇಶ್ವರಯ್ಯ ನವರು ಸಹ ಕೋಲಾರ ಜಿಲ್ಲೆಯವರು. ಚಿತ್ರ ನಟಿ ದಿ: ಸೌಂದರ್ಯ ಮತ್ತು "ಮಂಕು ತಿಮ್ಮನ ಕಗ್ಗ " ದ ಕರ್ತೃ ಶ್ರೀಯುತ ಡಿ. ವಿ. ಗುಂಡಪ್ಪ ನವರು ಮುಳಬಾಗಿಲಿನವರು ಮಾಜಿ ಸಚಿವ ಶ್ರೀ ರಮೇಶ್ ಕುಮಾರ್ ಶ್ರೀನಿವಾಸಪುರದವರು ಜ್ಞಾನ ಪೀಠ ಪ್ರಶಸ್ತಿ ಪುರಸ್ಕೃತ " ಮಾಸ್ತಿ ಕನ್ನಡದ ಆಸ್ತಿ " ವೆಂಕಟೇಶ ಅಯ್ಯಂಗಾರ್ ಮಾಲೂರು ತಾಲ್ಲೂಕಿನ ಮಾಸ್ತಿಯವರು ಕರ್ನಾಟಕ ಮೊತ್ತ ಮೊದಲ ಸಮುದಾಯ ರೇಡಿಯೋ ಕೇಂದ್ರ ಪ್ರಾಂರಂಭವಾದದ್ದು ಕೋಲಾರ ಜಿಲ್ಲೆ, ಬಂಗಾರಪೇಟೆ ತಾಲ್ಲೂಕಿನ ಬೂದಿಕೋಟೆಯಲ್ಲಿ ಇದು ಅಂತರ್ ರಾಷ್ಟ್ರೀಯ ಮಟ್ಟದಲ್ಲಿ ಹೆಸರು ಪಡೆದಿದ್ದು ಕೆಲವೇ ದಿನದಲ್ಲಿ ತರಂಗಾಂತರದಲ್ಲಿ ಕಾರ್ಯಕ್ರಮಗಳು ಪ್ರಸಾರವಾಗಲಿದೆ. ಜೊತೆಗೆ ಕೋಲಾರ ಜಿಲ್ಲೆಯ ಮಿನಿ ಕೆ.ಆರ್.ಎಸ್ ಎಂದೇ ಪ್ರಸಿದ್ದಿಯಾದ ಮಾರ್ಕಂಡೇಯ ಕೆರೆ ಸಹ ಇದೆ. ಮೈಸೂರು ಹುಲಿ ಎಂದು ಪ್ರಸಿದ್ದಿಯಾದ ಟಿಪ್ಪುವಿನ ತಂದೆ ಹೈದರ್ ಆಲಿ ಜನಿಸಿದ್ದು ಸಹ ಇಲ್ಲಿಯೇ. ಕೋಲಾರ ಜಿಲ್ಲೆಯ ಪ್ರಮುಖ ಭಾಷೆ ಕನ್ನಡ.ಇಲ್ಲಿ ಚಾಲ್ತಿಯಲ್ಲಿರುವ ಇತರ ಭಾಷೆಗಳೆ೦ದರೆ ತೆಲುಗು,ತಮಿಳು ಮತ್ತು ಉರ್ದು. ಕೋಲಾರ ಜಿಲ್ಲೆಯ ಮುಖ್ಯ ಕಸುಬುಗಳೆ೦ದರೆ ಕೃಷಿ, ಪಶು ಸಾಕಾಣಿಕೆ ಹಾಗೂ ರೇಷ್ಮೆ ಉದ್ಯಮ. From Kolar bus stand, take a left and go 4 km to reach Antaragange. Air: The nearest airport is Bangalore airport.Rail: The nearest railway junction is Bangarpet at a distance of about 15 km. Transportation: Government buses ply on regular basis daily from Bangalore. Antara Gange is a mountain situated in the Shathashrunga mountain range in the southeastern portion of the Indian state of Karnataka. Antara Gange literally means "Ganges from deep" in Kannada. It is about two miles from the town of Kolar and seventy kilometers from Bangalore. Antara Gange is famous for the temple situated on the mountain. In the temple is a pond which gets a continuous flow of underground water from the mouth of a Basava (stone bull). There is a steep, narrow path to the top of the mountain. There are seven villages on this mountain, including Therhalli. The mountain contains volcanic rocks and lot of caves around. This is L- shaped temple has two shrines, one for Durga (Kolaramma) and the other for Saptamatras. Kolaramma temple is a rare tantric temple in which some of the ancient tantric rituals are depicted. A rare memorial to a learned woman scholar has been found in Kolar. Both have a common vestibule. The Durga Shrine has a wagon roof tower. The stucco figures in the saptamatras shrine are unusually large. The temple is of Dravida Vimana Style built in Ganga Tradition(11 century-A.D). Mahadwara has imposing pavilions in the inner side. The temple contains several Chola inscriptions. The earliest belonging to Rajendra-I (1012-1045 A.D). Most outstanding example of plastic art in the Kolaramma temple is the slab depicting a battle scene, now placed on the front platform of the entrance. It is a Viragal (heroic stone) probably belonging to Ganga period measuring 41/2 feet. The slab is covered with relief work of horses, elephants, soldiers, celestial nymphs and celestial cars. Chokkahalli is about 7 km from Kolar. 'Chokka' means that which is beautiful, neat and tidy. On about 8 acres of land in Chokkahalli is Chinmaya Sandeepany of Karnataka. The ashram has two residential buildings Maitreyi and Yajnavalkya which can accommodate 120 persons. The dining hall is known as 'Annapoorna' and can feed more than 150 people at one time. The Important temple in the town is Varadanjeneya Temple. This temple is situated on the hill and as one cannot reach the top in a vehicle we have to trek the hill through the stony steps.Thus it is a place which is peaceful and has immense scenic beauty as it is situated on the hill. Kailasa giri in Chintamani promoted by Gavi Gangadhareswara swamy Temple Trust, is an wonder created on earth, by carving the cave temples in the Hill. This is a must place for visit. Pandavas of the great Indian epic Mahabharata lived here during the exile in the forest (Vanavasa). Bheema is said to have killed Bakasura in this place. During the Dwaparayuga this town was known as Ekachakrapura. Narayanappa a famous saint who is popularly known as Kaivara Thathayya in Kannada and Telugu had lived here during last part of the eighteenth century and the first half of the nineteenth century. The town gets its name from this famous bilingual poet. An Ashram that is dedicated to this famous saint is a pilgrimage and every year many thousands of pilgrims visit this place. It is fast becoming a tourist spot now. This very beautiful town is situated in a picturesque valley and the temperature ranges between 18 to 23 degrees Celsius. The climate of Kaivara is salubrious. It rains here mainly during October. The rain usually is a heavy downpour. In fact this place gives the feel of a hill resort. Best Time to Visit: The best time to visit this place would be between January to March and June to September. In fact from Bangalore you could visit there over a weekend. Events: An annual music festival on Karnatic music is held in July every year here. Night Life: The best thing for you to at nights here is to rest early. By Air: Bangalore airport is the nearest airport from where a taxi can be hired to travel the 65 odd kilometers to Kaivara. By Rail: Many trains from all over India run to Bangalore. From Bangalore a taxi or any other road transportation can be hired to go to Kaivara. By Road: National Highways – NH4, NH7, NH212 and NH48 converge on Bangalore. 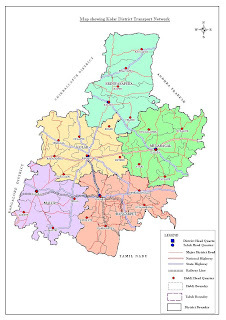 Kolar where Kaivara is situated lies on NH4 to the East of Bangalore. Amaranarayana Temple: This is a beautiful temple dedicated to Lord Vishnu. This temple is famous for its architecture. The temple has four sculpted stone pillars with exquisitely carved designs. This constitutes the Navranga Mandapa. The idol here was installed by King Vishnuvardhana who belonged to the Hoysala dynasty. Aranya Rama Temple: Close to the Amaranarayana is another small shrine dedicated to Lord Rama, where he resides with Sita devi and Lakshmana. Bheemeswara Temple: Mythology has it that Bheema killed the Rakshasa Bakasura when the Pandavas were in exile here thereby relieving the citizens of this place of a tyrant. To honor this deed a temple was built here for Bheema which is the Bheemeswara Temple. Narayanappa Mutt: A mutt/ashram dedicated to the famous Telugu/Kannada composer and writer Narayanappa (1730-1840 AD). It is said that this saint was initially a bangle seller. There after he got his call and dedicated his life to sainthood writing and composing many literary works some of which are the famous ‘Amaranarayana Shathaka and ‘Kaalagnana’. Yoganarasimha Swamy Temple: This temple is at a distance of about a kilometer from the Mutt, on a small hillock called Vaikunta. This is the place where Narayanappa was on meditation for over three years. The statue of Narayanappa is installed here. A magnificent prayer hall is within the precincts of the temple which is huge and boasts of an excellent view of the surrounding hills and valleys. This is an ideal place for meditation. Ambaji Durga Cave Temple: This place is about 7 km from Kaivara and is quick drive from Kaivara. Lord Venkateswara Temple, Alamgiri: This is also within a 10km radius of Kaivar. Alamgiri is also famous for Paper Mache handicraft. very informative and nice pictures too. 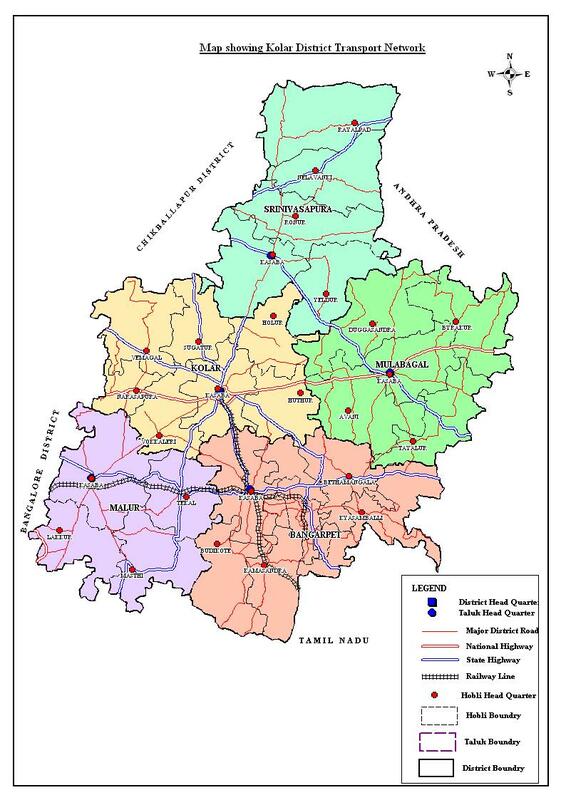 very usefull information your providing about my KOLAR DISTRICT ,Reallly very great job THANKS A LOT. we recently did a group ride to this place.. also trek to the top of the hill. The place is amazing. here is the video documentary we shot.